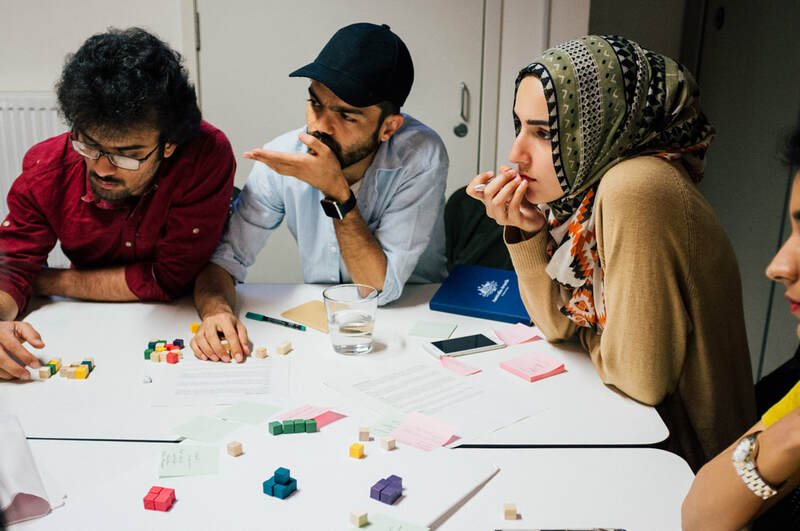 The Local Innovation for Development Fellowship Program was an intensive learning program supported by Department of Foreign Affairs and Trade (DFAT) Australian Awards for emerging and leading innovators from Pakistan, Kenya and Guatemala. This program was run in partnership with the International Development Innovation Network (IDIN) - one of the world's leading networks of innovation in development and the D-Lab at MIT, USA. With a focus on building innovation and development collaboration through establishing local and global ecosystems, and capacity building international and local innovators, this two week fellowship in March 2017 equipped the participating Fellows with expertise in applying human-centred design, creative capacity building, and inclusive design. These skills supported the participants on return to their home country to directly apply their new knowledge to address a range local development challenges - notably access to poverty alleviation, education (strong inclusivity around gender and disability); improved agricultural outcomes; environmental and waste management; and Information and Communications Technology (ICT) for development. 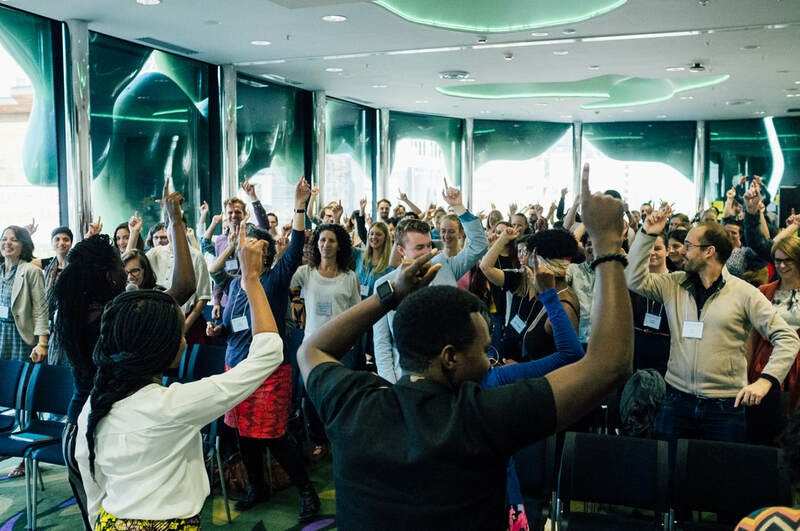 Networks and Collaboration - Over the course of the program participants built connections with hosting organisation, Unbound, partner organisation MIT D-Lad, and Australian NGOs, educational institutions, private sector organisations and social enterprises. For example, Fellows met with the Melbourne Accelerator Program, RMIT University, and Swinburne University's Centre for Social Impact to learn about local innovations in these university innovation spaces; and joined a networking evening with the Foundation for Young Australians to build connections with young Australian innovators and entrepreneurs. 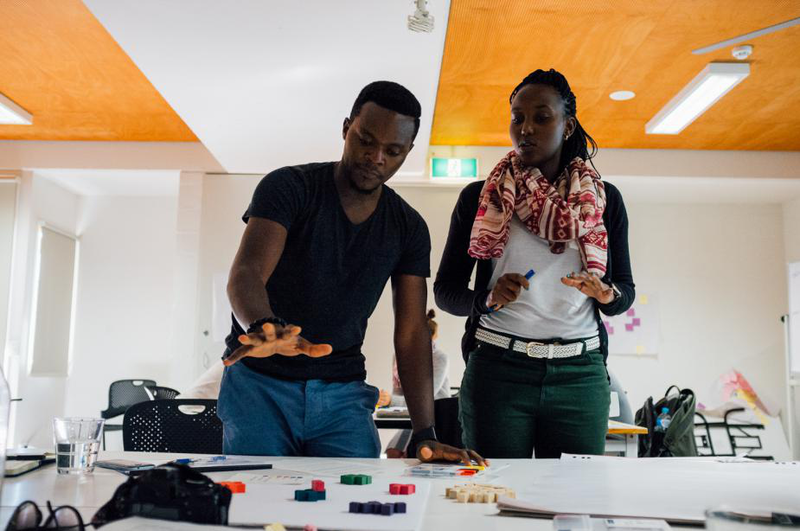 Capacity Building - Educational workshops in Melbourne and regional Victoria were led by leaders in the field, including MIT D-Lab educators, and leadership by DSIL Global. Site visits to co-working spaces such as Hub Melbourne, and to education spaces: CERES Community Environment Park and the eco-community Commonground, provided opportunities to learn about social and environmental sustainability and innovation in different contexts. An emphasis was also placed on strategic planning and setting goals on Fellow's individual and team goals and projects, and Australian organisations providing support where required to support Fellow's to achieve these goals to support development in their home communities. Practical Skills - This program provided Fellows with practical skills including: training on leading human centred design to address local community challenges; scaling and enterprise - constructing business models that achieve scale and impact; community engagement and event design - running and leading community activities; and inclusive development through an interactive workshop with Enable Development. By providing these tools, workshops and educational content, we equipped the Fellows to empower others in their own community. 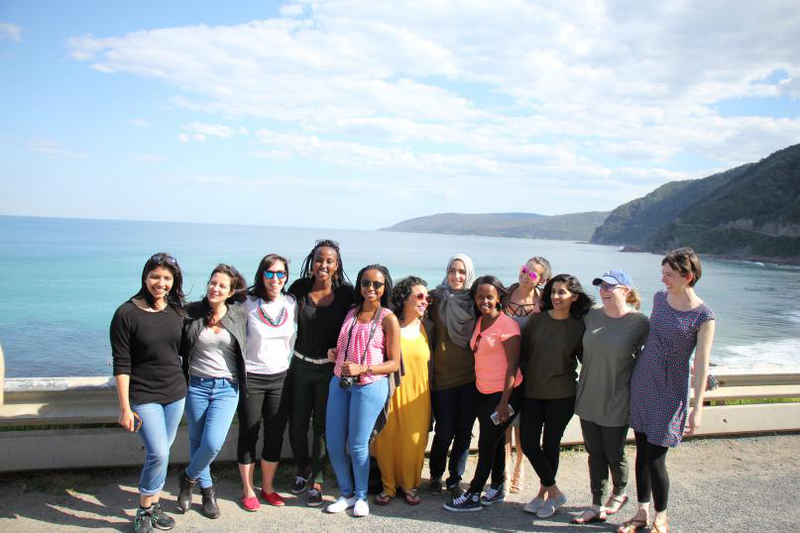 Dissemination and Sharing - While this program was an immersive educational experience for the participating Fellows, emphasis was placed on sharing their own experiences, skills and programs with the other Fellows and the participating Australian groups. 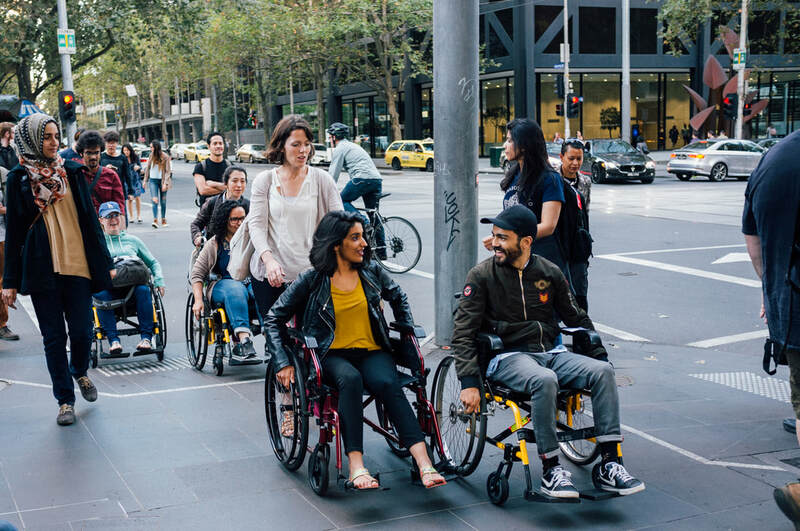 The fellows shared their knowledge and innovative projects during a Summit at RMIT University with 100 attendees from universities and organisations from all over Australia. Further, continuing collaborations and creating an innovation ecosystem across each country linking all organisations was explored through participative workshops and discussions. Chebet Lesan is an industrial designer by profession and an environmentalist by passion. She is the founder of BrightGreen Renewable Energy, a company that creates green charcoal from agricultural and urban waste. She is involved in community programs that sensitize local communities and industries on the importance of environmental preservation and promotion of eco-friendly activities. Her aspiration to see is a Kenya who's economy is driven by eco-friendly activities, a people who value their environment and national culture that has embraced clean energy. Maria Jose has 6 years of experience working with rural communities in Guatemala, especially artisan women, promoting co-creation and inclusive design. She has also worked as a volunteer with Junior Achievement Guatemala, promoting entrepreneurship as a mentor and organiser of events. Maria Jose has been a member of IDIN Network since 2015 after participating at IDDS Zero Waste in Cali, Colombia. As well as running her own business working with women artisans to create handmade products and support livelihoods in rural Guatemala, she is also currently professor of "Design for Development" course in Universidad Rafael Landívar. PISE conducts educational design workshops and hopes to create a network of innovation centers in remote areas of Pakistan. Ehsam also works with Internally Displaced Persons (IDP's) in remote Pakistan, running education and youth empowerment programs in refugee camps. He has worked with various International and national organizations like OXFAM-GB, Aga Khan foundation, Focus Humanitarian Assistance Pakistan (FOCUS), IET GIKI Chapter, Aga Khan Education services Pakistan, Ehsam is the “young researcher award” winner of Pakistan.